In my new job I create a lot of Visio diagrams. 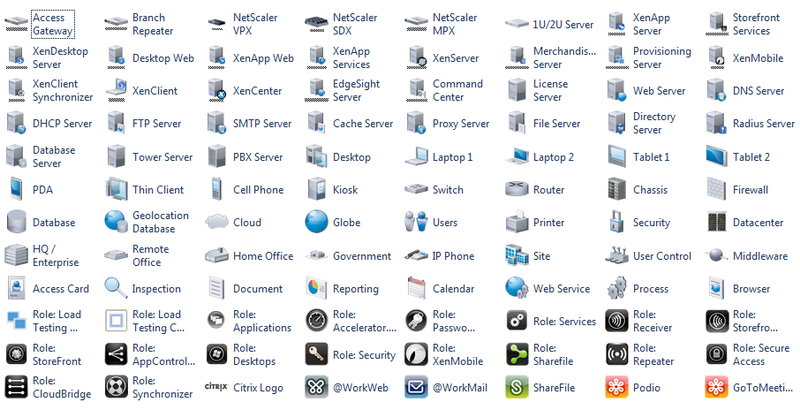 Here’s a link to a Citrix stencil set that will help you with any Visio diagram where you need NetScaler’s, different server roles, or any Xen products. Get the latest stencil set here.